As Cree sells its lighting business, chief executive, Gregg Lowe, tells Compound Semiconductor, what will happen next. Just last month, Cree revealed it is selling its underperforming Lighting Products business unit to Ideal Industries. The divestiture follows efforts - spearheaded by chief executive Gregg Lowe - to expand production at Wolfspeed and looks set to drive growth across the coming years. Indeed, since joining Cree in September 2017, Lowe has single-mindedly worked on bolstering Wolfspeed, having grown the business by more than 100%. Key moves include the acquisition of Infineon's RF business and also several long-term SiC supply deals worth more than $500m, including agreements with ST Microelectronics and Infineon. What's more, Lowe is adamant that the power and RF focus comes at just the right time. As he points out, thanks to the rapid rollout of 4G and 5G networks, the demand for Cree's GaN-on-SiC RF products is rising. From here on in, Cree will focus on growing Wolfspeed with capacity increases in SiC production being a priority. But clearly for the chief executive, Wolfspeed is the priority. Indeed, in past months Cree has been shifting research and development, crystal growth equipment and capital expenditure from its lighting arm to Wolfspeed, more than doubling capacity along the way. 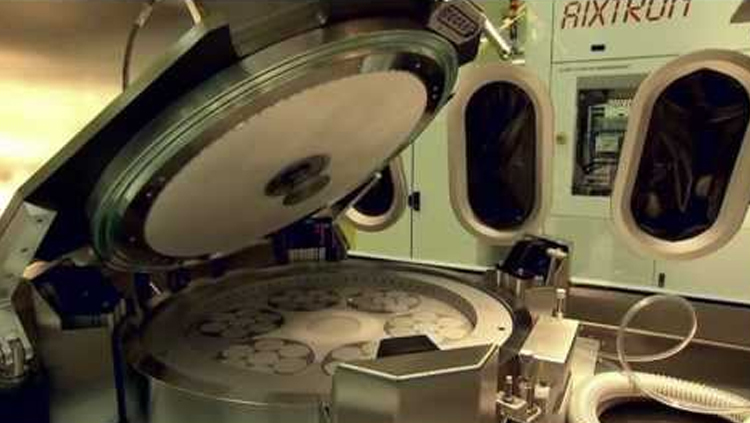 As Lowe emphasises, cash influx from the latest sale will further grow manufacturing capacity, but Cree continues to talk with potential new silicon carbide suppliers. Given this, more supply deals akin to those of ST Microelectronics and Infineon could well follow. Importantly, Lowe also intends to plough more cash into research and development, to develop baseline technologies including silicon carbide crystal growth, wafer fabrication and epitaxy capacities, which as he says will further increase yields and drive down costs. And looking to the future, Lowe believes that higher voltage devices will provide 'interesting application opportunities'. As he highlights, Cree has demonstrated 20 kV devices, but believes that 650 V devices and those rated a little higher than that will continue to hold the company's attention.